BPA-free plastic, same 200 watts of power as the PB-250 and 350, has two 16-oz. containers, one screw-on lid, and one travel sipping lid. 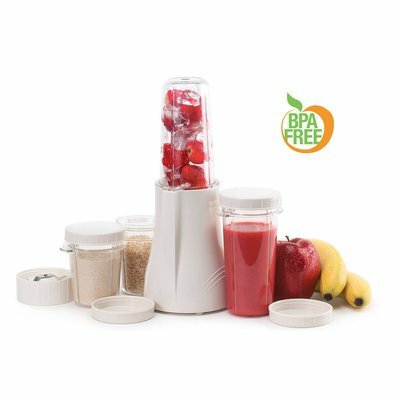 BPA-free plastic, 200 watts, 1 blending blade, 1 grinding blade, 2 16-oz. 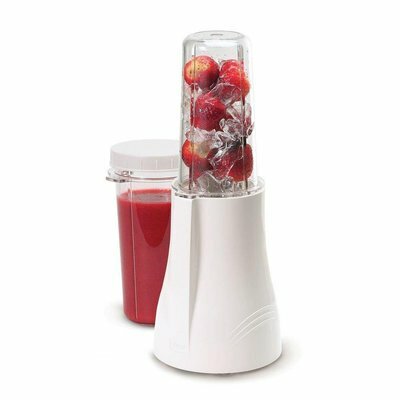 blending containers, 2 8-oz. grinding containers, 1 travel sipping lid, 3 regular lids. 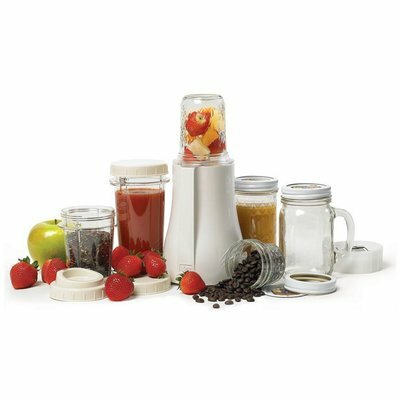 Now you can blend, serve, and store your favorite blended recipes all in the same glass Mason jar. 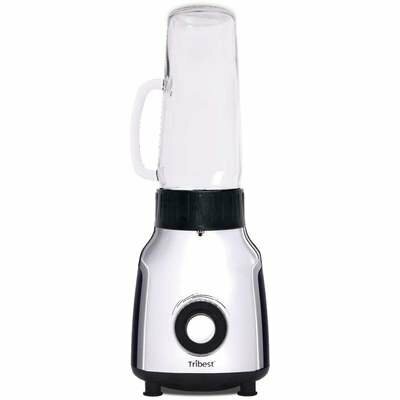 The Tribest Glass Personal Blender PBG-5050 makes clean blending easy and portable. 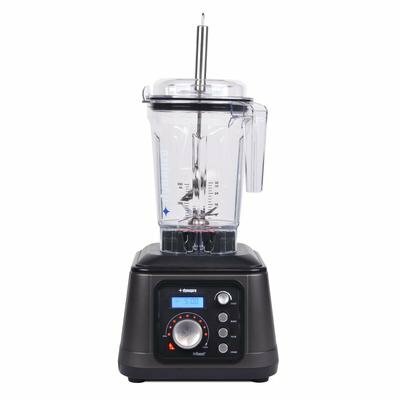 The stainless steel blade assembly and tempered glass containers ensure that there is zero food contact with plastic.